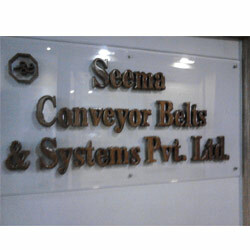 Established in the year 1998, we, “Seema Conveyor Belts & Systems Pvt. Ltd.”, is a remarkable organization engaged in manufacturing, exporting and supplying an impeccable range of Conveyor Systems and Belts. These products are developed by our diligent professionals with an utmost precision by making use of an excellent quality raw material and sophisticated technologies. In order to meet the various demands and requirements of our clients, we also offer all our products in different sizes, dimensions, specifications and also in customized form. Owing to their attributes like longer functionality, dimensional accuracy, robust construction and sturdiness, these products find their wide applications in various industries and is widely appreciated by the customers. Apart from our products we also provide Conveyor Belt Joint & Maintenance Services at Client's Site to our valuable clients. Our organization is a customer centric organization, therefore, we strive hard to attain optimum satisfaction of our valuable patrons. 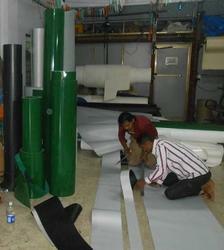 We ensure that only defect-free products are delivered at customer's doorstep within the stipulated time-period. In addition to this, we simplify the process of monetary transactions, we accept payments from varied easy modes. Moreover, we have also recruited a team of professionals to carry out all our business related activities. These experts are masters of their respective areas of specialization, who understands the objectives of our organization and sincerely work towards successfully attaining them. Under the able guidance of our director, 'Mr. Anil Pawar', we have attained tremendous success and growth in this domain. His detailed knowledge, rich experience and vibrant leadership qualities have enabled us to muster large number of loyal patrons in our client-base. Owing to our qualitative products, we have been able to create our position and exports our products in the markets of Indian Subcontinent and South/West Africa. Our company is assisted by a hardworking team of professionals, who are able to create a special niche for ourselves in this cut throat era of competition. These experts make sure to maintain cordial and healthy relationship with our clients in order to understand and meet their emerging requirements, accordingly. All our employees are well versed with the latest technology, which allows them to execute their work with an utmost precision. Over the years, we have maintained a remarkable position in the industry owing to the excellent quality and attractive attributes of our Conveyor Systems and Belts. Our ethical business practices and standard quality products have enabled us to gain the confidence of large number of valued customers. Apart from this, there are varied other factors that has helped us to stand high in front of our competitors.